Safe House, the action thriller from director Daniel Espinosa starring Denzel Washington and Ryan Reynolds, spends most of its one hour fifty five minute running time much like it’s central characters, tearing madly around, making a lot of noise and not really getting very far. CIA rookie Matt Weston (Reynolds) looks after an agency ‘safe house’ in Cape Town, South Africa. The house comes under attack after ex-agent Tobin Frost (Washington) is captured and taken to it for interrogation. Barely escaping with their lives, Weston and Frost find themselves on the run with some very nasty individuals hot on their heels. It emerges that Frost has something they want, and they will let nothing or no-one stand in their way of getting it. There appear to be two types of film emerging in the world of the contemporary thriller. Firstly you have those from the James Bond school which, though Daniel Craig’s current incarnation is attempting to distance itself from the sanitised heyday of Roger Moore, still views violence from the cartoon angle of as little blood and brutality as possible. Then you have the Jason Bourne approach, where people actually hurt when punched – my goodness some even die! Safe House, you feel, is trying to be more Bourne than Bond, but ends up getting carried away with its own self grandiosity. There is an unbelievable amount of violence (beatings, shootings, explosions, car crashes) to the extent that you begin to wonder whether there really is a story-line there other than to join one killing spree to the next. There is also very little like-ability in any of the characters, the presence of which may have helped to justify some of the said brutality. 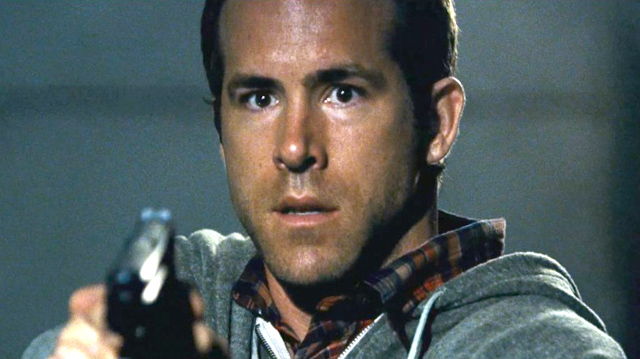 Even Reynolds who appears the most human, (turning in a sympathetic performance as the bewildered new-boy who soon discovers the instinct for self perseverance brings out the worst in everyone), ends up a cynical agent with his own self-interests paramount. The other problem is the film’s style, jumping back and forth in choppy fashion from the CIA’s US headquarters to the story unfolding in Cape Town. Like the car chases (which are admittedly impressive), everything happens too fast, though this breakneck speed unfortunately doesn’t bring the end quick enough.